Sen. Elizabeth Warren speaks against Donald Trump’s Muslim ban in Boston on January 29, 2017. 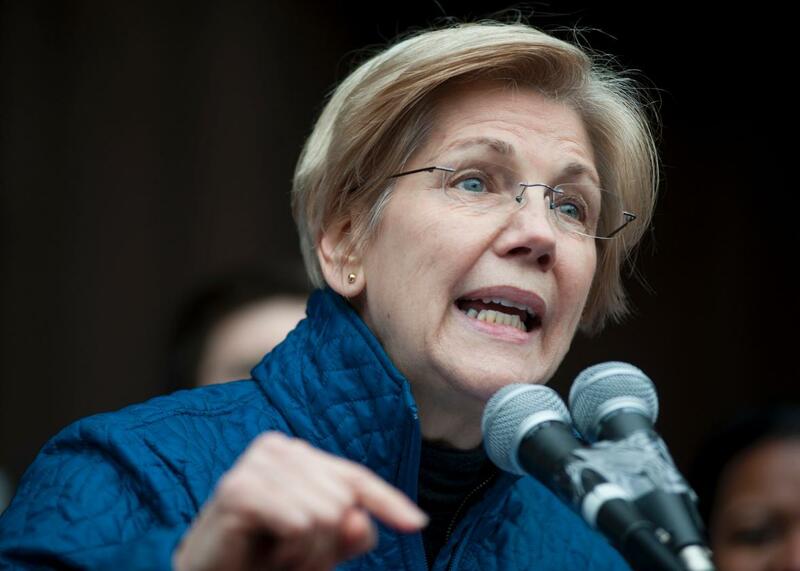 Mitch McConnell and his fellow Senate Republicans voted Tuesday evening to stop Elizabeth Warren from speaking during the debate over Jeff Sessions’ nomination for attorney general. Warren was reading aloud from a scathing 1986 letter Coretta Scott King wrote opposing Sessions as a potential federal judge, when McConnell interrupted her mid-sentence to invoke a rule that prevents senators from ascribing “unbecoming” conduct to another senator. It’s hard to imagine a pithier encapsulation of nearly every struggle for justice in the history of humanity. Without even trying, McConnell wrote the future epitaph of hundreds of people who have the phrase “nasty woman” in their Twitter bios. #ShePersisted and #LetLizSpeak have emerged as the hashtags with which to commemorate this important moment. Just two weeks after Warren drew heat for voting to advance Ben Carson’s nomination for Housing and Urban Development secretary, she’s emerged as a symbol of the type of perseverance certain Republicans hate most: women’s. The silencing of Warren is doubly insulting because it amounted to a silencing of King, the late civil rights activist and wife of Martin Luther King, Jr., whose letter spoke to Sessions’ persistent (!) harassment of black voting rights activists and intimidation of elderly black voters. McConnell’s heartfelt ode to female strength in the face of opposition was a natural candidate for Twitter tributes, because reclamations of politicians’ insults are all the rage these days. Freshman Sen. Kamala Harris has already turned it into a meme. The phrase sounds like something a grumpy old man would say of an incorrigible ward, something that might be directed at little orphan Annie or Matilda Wormwood. Almost every kids’ book or movie about a determined, big-hearted, long-suffering heroine has the villain saying something like, “She was warned. … Nevertheless, she persisted.” See: this vintage footage of Elizabeth Warren persisting against an evil archdeacon’s attempts to silence her. But the men of the Senate are persistent, too: Democrats Tom Udall, Sherrod Brown, and Bernie Sanders all read King’s letter on the Senate floor Wednesday morning, and McConnell didn’t excrete a single peep. According to NBC, “Aides to Republican leadership say Warren was not punished for simply reading the letter, but for ignoring warnings about being silenced and delivering a disparaging speech that went beyond simply reading King’s words.” How a senator might read a letter that describes targeted abuse of black voters without disparaging the perpetrator of that abuse is one heck of a brain teaser.